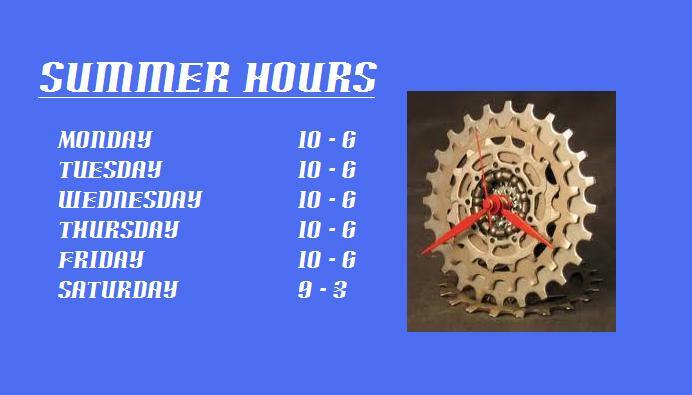 We will be opening at 9 on Saturdays. The first shop ride will leave at 8 from the shop. We plan on going about 30 miles. This is not going to be a crazy fast ride, but expect an average speed of around 16-17 mph.